SATB/SATB choir – Medium. Composed by Randall Thompson (1899-1984). 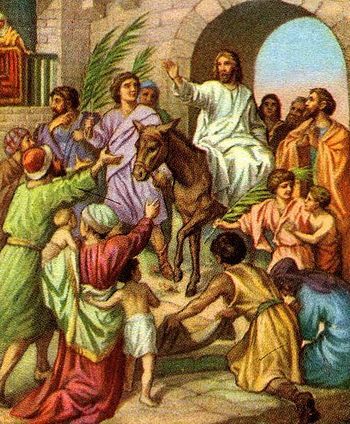 Passion/Palm Sunday, 20th Century. Choral score. With Text Language: Latin. 24 pages. Published by E.C. Schirmer Publishing (EC.3082). This entry was posted in Thompson, Randall (1899-1984) and tagged 1928, Holy Week, Jerusalem, Jesus, Matthew, Matthew 21:8, Matthew 21:9, Matthew 2:1, Palm Sunday, Pueri Hebraeorum, sheetmusicplus, The Hebrew children, YouTube by John. Bookmark the permalink.